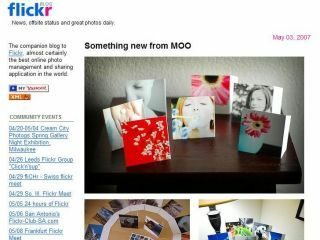 Microsoft to launch Flickr copycat service? Is Microsoft about to launch a competitor to Yahoo's Flickr? A post on the istartedsomething.com blog points to a job ad at the corporation for a program manager who will be in charge of a photo and video sharing website. But isn't it a bit late to be attempting to replace Flickr and YouTube Microsoft? The new site would almost certainly be part of the Windows Live portfolio encompassing Spaces, Hotmail and SkyDrive. Microsoft has attempted to broaden the appeal of WindowsLive over recent months, further integrating the services available, but despite much polish it all still seems oddly uncompelling and slow compared with Google's offerings. Microsoft could be hoping to broaden the appeal of Windows Live through the new site by pulling in users through an unrivalled offering - probably with unlimited uploads and no subscription charge for regular users (unlike Flickr). The job ad is pretty clear with its intentions for the rather sick-inducingly named Digital Memories Experience team (DMX). "This feature team is building a next-generation photo and video sharing service that will compete with flickr, smugmug and other photo web solutions today", it says. Mind you, one feather in Microsoft's cap is in its newly intelligent recent approach to competitor services - WindowsLive Writer, for example, will post to Blogger, while Live Photo Gallery talks to Flickr. That's better than many competitors who still seek to tie customers into a bundle of services. And we all know how unrealistic that is.